LONDON - Rupert Murdoch's company said Friday it has agreed to pay 2 million pounds ($3.2 million) to the family of a murdered schoolgirl whose phone was hacked by the tabloid News of the World. News International and the family of Milly Dowler confirmed the settlement in a joint statement. It said Murdoch also will donate 1 million pounds ($1.6 million) to charities chosen by the Dowler family, including youth and cancer research groups. 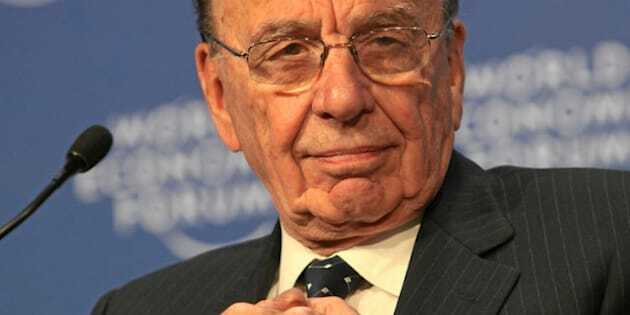 Murdoch shut down the 168-year-old News of the World in July after evidence emerged that its reporters had eavesdropped on the telephone voice mail messages of the 13-year-old who disappeared in 2002 and was later found murdered. That touched off a storm of public outrage that rocked Murdoch's media empire and ricocheted through Britain's political, police and media establishments. "Nothing that has been agreed will ever bring back Milly or undo the traumas of her disappearance and the horrendous murder trial earlier this year," the Dowlers said in the statement. "The only way that a fitting tribute could be agreed was to ensure that a very substantial donation to charity was made in Milly's memory. We hope that projects will be undertaken so that some good can come from this." Murdoch met with the Dowlers in July to personally apologize to the family, saying he was "appalled" to have discovered what happened. In the statement Friday, he said he hoped something positive can be done in memory of Milly. "The behaviour that the News of the World exhibited towards the Dowlers was abhorrent and I hope this donation underscores my regret for the company's role in this awful event," he said. The revelation that reporters eavesdropped on Milly Dowler's voice mail messages while police were searching for her — and mounting evidence that phone hacking was routine at the newspaper — scandalized the British public. In a letter to lawmakers disclosed Thursday, Surrey Police Chief Constable Mark Rowley acknowledged that his force knew as far back as April 2002 that someone working for the News of the World had accessed Dowler's voice mail, giving false hope to the missing teen's family and potentially interfering with the investigation into her disappearance. The phone hacking scandal has forced the resignation of two of London's top police officers, ousted executives at Murdoch's News Corp. and claimed the job of Prime Minister David Cameron's former spin doctor, Andy Coulson, an ex-News of the World editor. Murdoch's global News Corp. has expressed contrition, launched an internal inquiry and set aside 20 million pounds ($32 million) to compensate victims, who could number in their hundreds. Still, the News Corp. CEO is under pressure. On Friday, he will face shareholders with small stakes in his company for the first time since the phone-hacking scandal broke in July. British lawmaker Tom Watson, one of Murdoch's fiercest British critics, travelled to Los Angeles to attend the annual general meeting and has said he plans to use the event to reveal new details of what he claims are covert surveillance techniques by company employees.